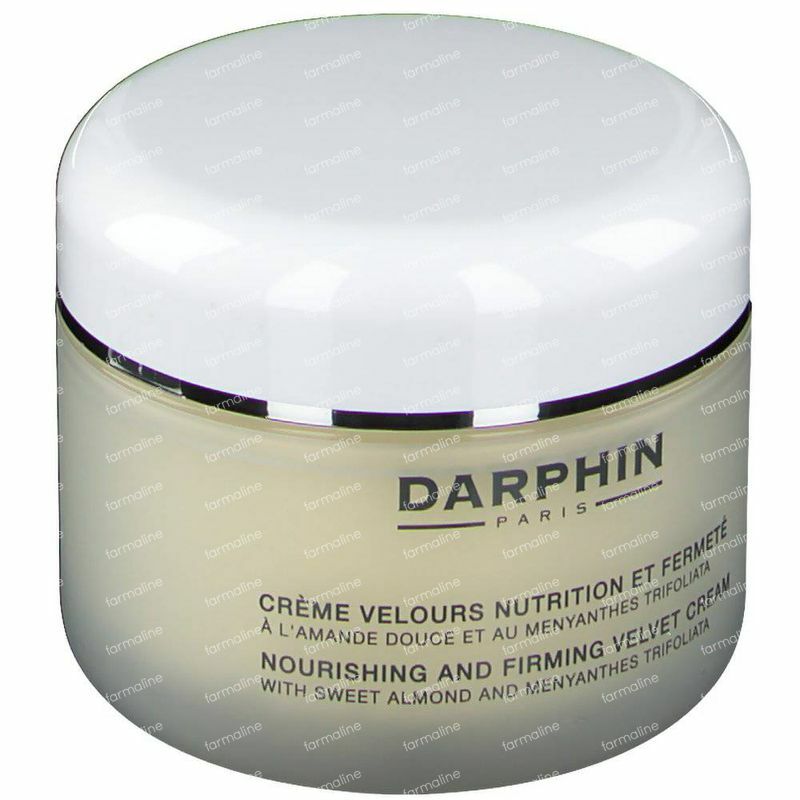 Darphin Nourishing And Firming Velvet Cream 200 ml order online. 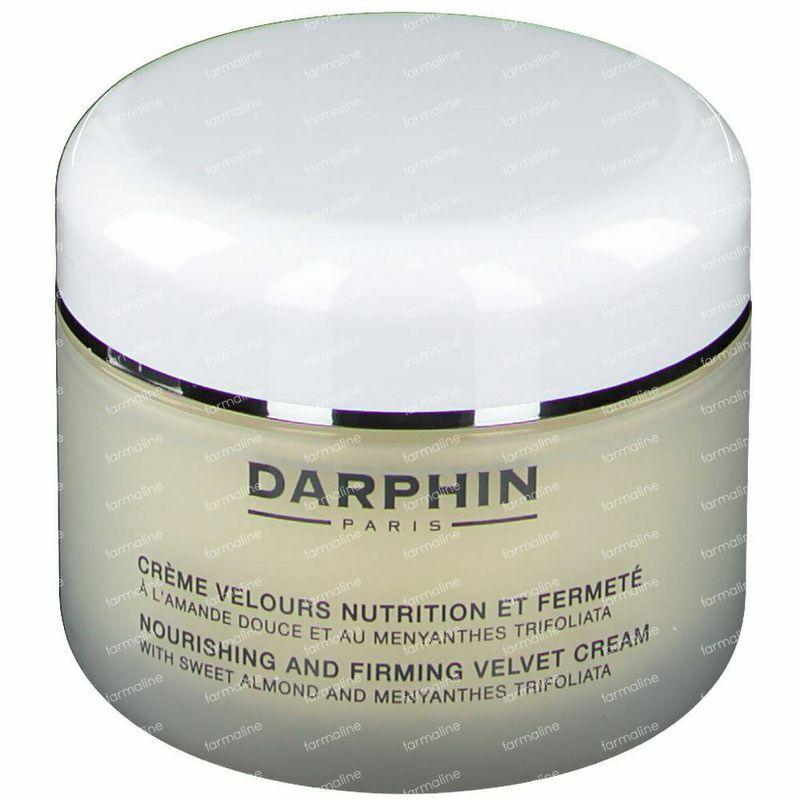 The extensive professional skills and expertise of the Darphin Institute have been poured into this silky and unctuous cream to simultaneously nourish and firm the skin. Its innovative technology enriched in patented redensifying Menyanthes trifoliata boosts the skin's natural collagen production and helps preserve elastin fibres for visibly plumper and firmer skin. Enriched in organic Shea Butter and Sweet Almond extract, it nourishes and helps provide high affinity essential fatty acids in the skin. 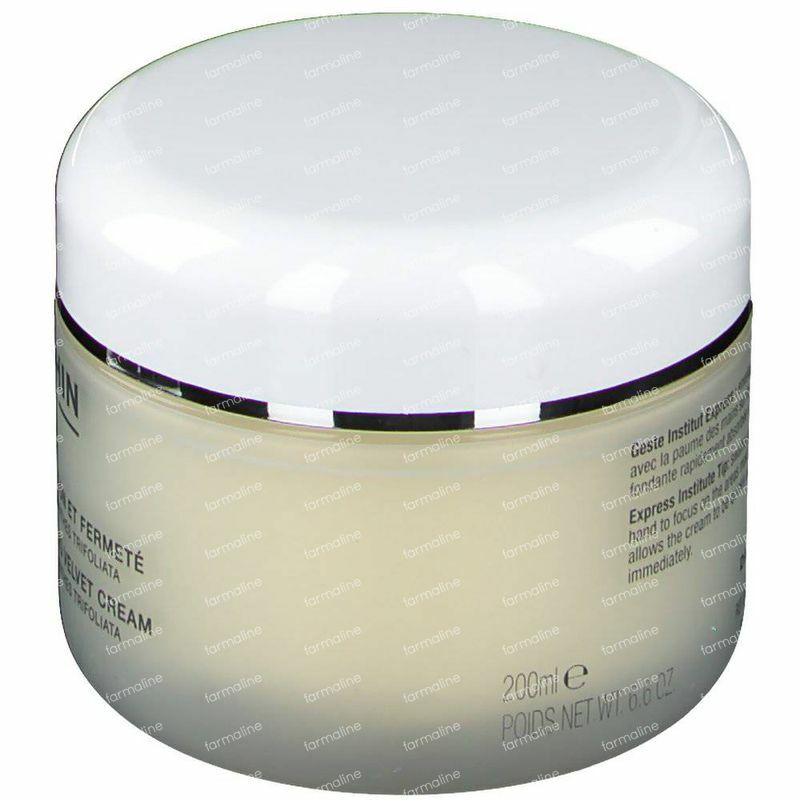 Its buttery texture instantly offers a deep sensation of comfort, and helps restore the skin's velvety texture. The Velvet Cream melts on the skin and is quickly absorbed, leaving a delicate white floral scent. A special moment of luscious daily body care indulgence. 94% of the total ingredients in this firming body cream are from natural origin. Formulated without any parabens. Dermatoligically tested and a clinically-proven efficiency. -A rich nourishing and firming Darphin body cream that stimulates collagen production for firm skin. -Suitable for all skintypes that want to firm up the skin on their body and provide it with proper hydration. Apply daily in the morning and/or in the evening smoothly on to the entire body with gliding strokes, paying particular attention to dry and sagging areas. Water (Aqua), Caprylic/Capric Triglyceride, Butyrospermum Parkii (Shea) Butter, Propanediol, Glycerin, Cetearyl Alcohol, Glyceryl Stearate, Lecithin, Hydrogenated Vegetable Oil, Tridecyl Stearate, Tridecyl Trimellitate, Prunus Amygdalus Dulcis (Sweet Almond) Seed Extract, Menyanthes Trifoliata (Buckbean) Leaf Extract, Salix Alba (Willow) Bark Extract, Cananga Odorata Flower Oil, Persea Gratissima (Avocado) Oil, Elaeis Guineensis (Palm)Oil, Caffeine, Ceramide 2, Sucrose, Arachidyl Glucoside, Glycine Soja (Sojbean) Protein, Potassium Palmitoyl Hydrolyzed Wheat Protein, Palmitoyl Dipeptide-5 Diaminobutyroyl Hydroxythreonine, Palmitoyl Dipeptide-5 Diaminohydroxybutyrate, Dipentaerythrityl Hexacaprylate/Hexacaprate, Tocopheryl Acetate, Dimethicone, Acrylamide/Sodium Acryloyldimethyltaurate Copolymer, Arachidyl Alcohol, Diethylhexyl Syringylidenemalonate, Caprylyl Glycol, 1-2 Hexanediol, Isohexadecane, Behenyl Alcohol, Sodium Hyaluronate, Xanthan Gum, Alcohol, Fragrance (Parfum), Polysorbate 80, Sodium Dehydroacetate, Carbomer, Tris (Tetramethylhydroxypiperidinol) Citrate, Sodium Hydroxide, Tetrasodium Edta, Benzyl Benzoate, Benzyl Salicylate, Linalool, Phenoxyethanol. 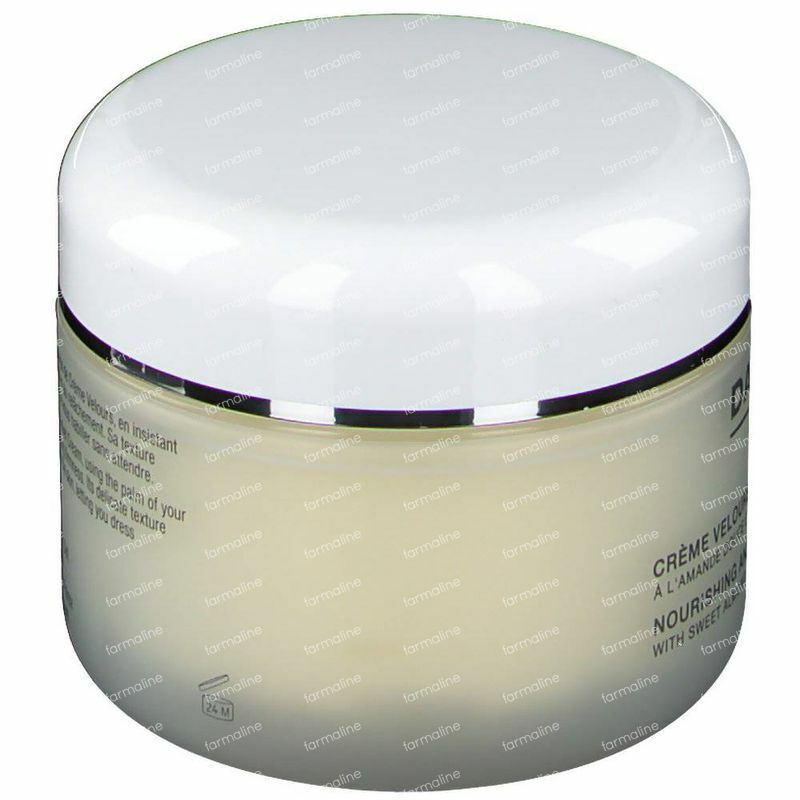 A very creamy texture and pleasant aroma, the skin texture changes from the first application. 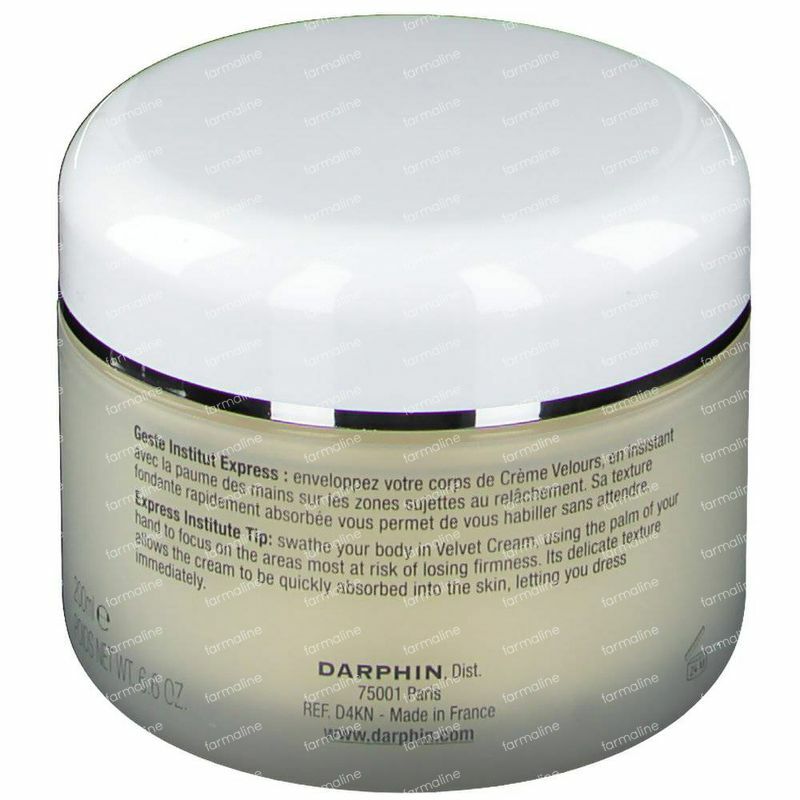 It does firm indeed and penetrates the skin easily. The only cream that really works for my severely dry skin. MY skin feels nourished and protected, the cream sinks in really well. Smells divine!